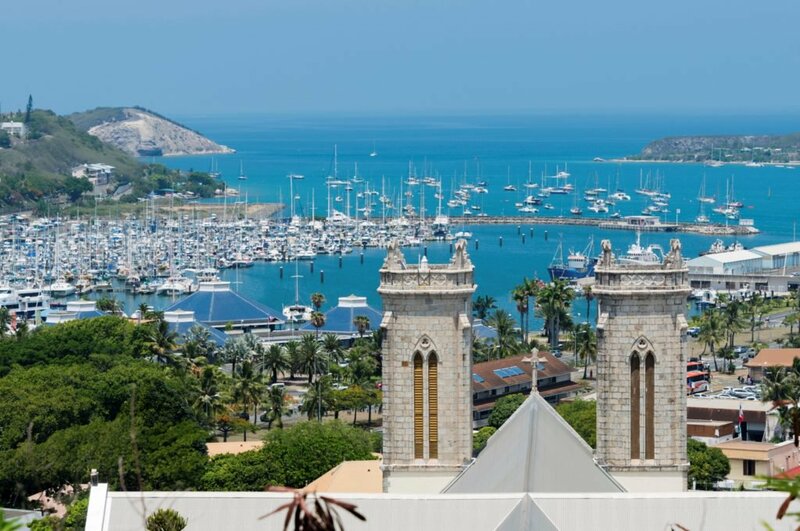 Known as the Paris of the Pacific, New Caledonia is fast becoming a go-to destination for students of language. 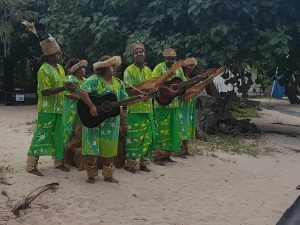 But with its rich pioneer and colonial history and diverse blend of ethnicities that call New Caledonia home, this island nation has an abundance of cultural opportunities waiting to be explored and enjoyed. 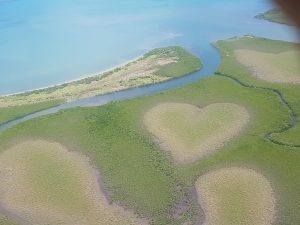 Earlier this year, Katarina Oliveri from WorldStrides travelled to New Caledonia on an exclusive tour to discover new attractions and programs available to students. 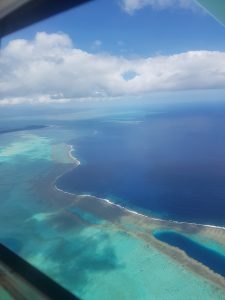 On arrival in to Noumea the country’s capital we were welcomed with beautiful sunshine. 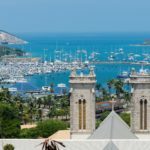 Noumea could easily be explained as a little slice of France in the Pacific, enriched with French culture and cuisine. While English is widely spoken throughout, often as you walk the streets you will be greeted with “Bonjour” from the friendly locals. 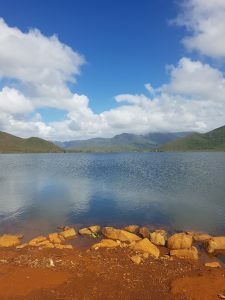 Noumea offers a fantastic language program with CREIPAC and James Cook School that lets students meet one another and share and exchange experiences and lifestyle. 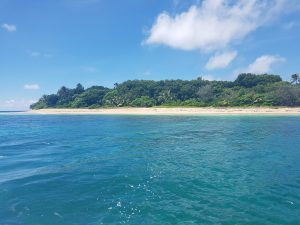 Only a short 45 minute boat ride from Noumea takes you to Amedee Island, which offers a number of recreational activities including swimming, stand up paddle-boarding and snorkeling where you can explore the beautiful sea life and coral. 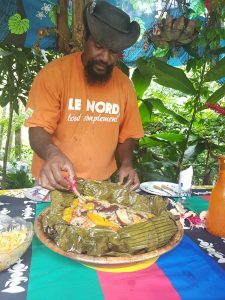 Lunch is made on the island, a beautiful spread of traditional food, whilst traditional dancers take the stage as light entertainment. We took a 1 hour drive down to the great south “Blue River Park”. We explored the blue river on individual kayaks and toured around the river taking in the beautiful land and scenery. After lunch we took a walk around the park, observing all of the protected native flora and fauna on offer. We finished the day with a 20 minute drive to the Perignon Bridge to visit the stunning Madeline Waterfall. We were off to the great North to “Kone” where we got to experience the sights from above during a light plane flight. ‘Wow’ is the only word to describe this phenomenal experience. During the 60 minute ride over the magical coral reef, we took in the sights of the famous heart of Voh. Today began with another adventure as we took a 30 minute boat ride to the “Hiengha Islet” where we did a nature flora and fauna hike followed by a snorkel of the reef. We got to swim amongst an array of fish and get really up close with the natural coral observing its many colours. New Caledonia is 2nd to Australia in having the largest, protected Coral Reef. Later on we spent the afternoon kayaking around the Broody Hen, an amazing natural wonder. Our tour concluded in the the village of Poindimié, on the East Coast, which has close to 20 tribes. We snorkeled and trekked through the waterfalls and then through the hills of Poindimie where we were met by the little chief “Jeduit PWIJA”. We were welcomed with a customary gesture and then got to prepare a Bougna which is the Kanak’s traditional meal. This opportunity to spend time with the tribe and their families, play games, pick local produce and share a lunch together was true highlight of the tour. If you’re interested in learning more about New Caledonia? View an example itinerary here. For more information or to learn how we can customise a tour to suit your curriculum, contact our educational tour specialists today!